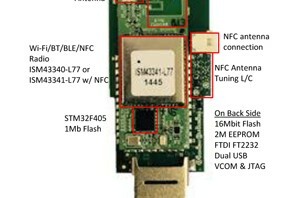 The ISM34x-USB is an embedded wireless Wi-Fi 802.11 b/g/n and Bluetooth Low energy (BLE) embedded USB module. The ISM3333, is a 5V tolerant GPS module based on the MediaTek MT3333 All-In-One multi-GNSS SoC and includes an on-chip CMOS RF, digital baseband, ARM7 CPU and embedded flash. The ISM3333 can achieve the industry’s highest level of sensitivity, accuracy, and Time-to-First-Fix (TTFF) in a small-foot print lead-free package. SiRFstar IV SIP GPS Receiver Module based on CSR’s latest GSD4e chip with twice the sensitivity of the SiRFstar III. 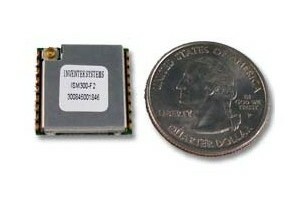 The Inventek ISM480F1 is a 48 channel global positioning system (GPS) receiver with an integrated 15x15x4 mm ceramic patch antenna with high sensitivity, high gain, and low power. The small form factor GPS receiver is based on the fast and deep GPS signal search capabilities of CSR, SiRFstarIV™ architecture. The module is capable of generating and storing extended ephemeris data to an external device for much faster hot starts in weak signal environments. Built-in jamming detection and mitigation to permit fast and accurate navigation solutions in high noise environments. Default output is SPI (Slave). An addition 4 dB in tracking sensitivity and 4 dB navigation sensitivity over the world class SiRFstar III devices. 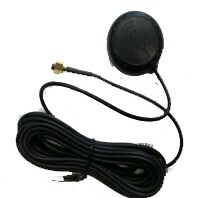 Direct connection to the GPS module for use with SiRFLive software.